Perfect start up. Don't let this opportunity pass you by! 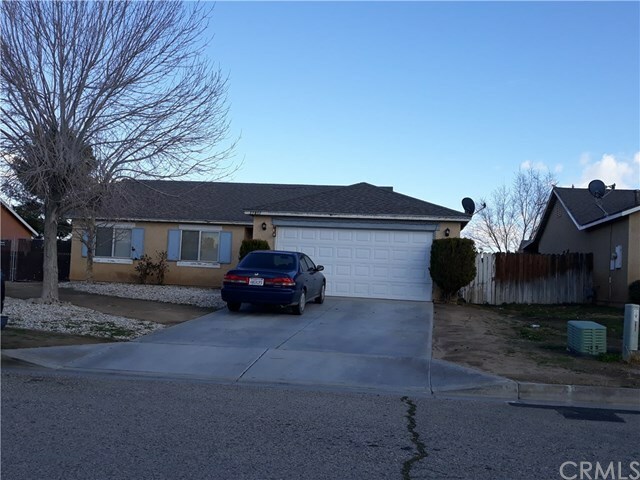 This is a 3 bedrooms, 2 bathrooms homes with 1076 square feet of living space, this is a nice and clean home, the living room is good size and is open to the kitchen, the home sits on almost 8000 square feet level lot with tons of possibilities. This house is in a cul-de sac and has a lot of potential, come see this lovely home today, property is within short driving distance to schools. Neighboring establishments include the Adelanto Fire Station Headquarters, Heritage Field and short distance to SCLA - Southern California Logistics Airport, a master planned 8,500 acre multimodal transportation hub with world-class aviation and air-cargo facilities occupied by FedEx, Rubbermaid, Dr. Pepper/ Snapple, Plastipak and M&M Mars. Easy access to the south to San Bernardino, Redlands, Rancho Cucamonga, Fontana and all the cities down below.About 40 min to Ontario International Airport.